Many brides are intimidated when it comes to their wedding stationery. Given that invitations for most events today are sent by email or social media, the formality and etiquette rules surrounding wedding invitations can lead to a number of questions. Add in the complicating factor of who is paying for what, and you have a veritable storm of stationery questions. Who Should the Response Card Envelope Be Addressed To? The response card envelope should be addressed to the person who is handling the organization of the guest list for the wedding. This is usually the bride (or the couple if they are living together) or the bride's mother. It does not have to match the return address on the invitation envelope. RSVPs can be tricky to handle, so think carefully about who can reliably manage the replies. While it may be tempting to hand this job off to a bridesmaid or family member, it should be someone extremely organized who can keep an accurate count, not lose any response cards, and will help you track down any late respondents. Most couples find that it is not only easiest to organize this task themselves, but they also like receiving the cards in the mail. 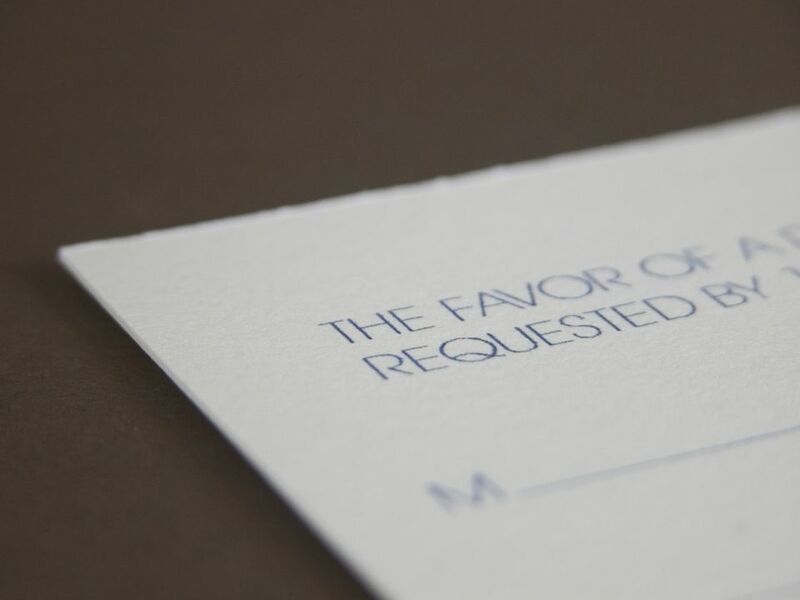 The purpose of the wedding response card and reply envelope is to track which guests will and will not be attending the wedding ceremony and reception. They are included in the wedding invitation. The return envelope is usually pre-printed with a return address. Most couples give their wedding planner or caterer a final guest count days before the wedding day for food planning and seating arrangements. Couples who plan to notify the caterer of their guests' food preferences, may also use the response card to collect that information. Now that there is increased awareness of certain food allergies and intolerances, you may find your wedding guests sharing this information with you. You should make an effort to work with your caterer to accommodate guests' needs. That said, you don't need to cater to every single diet or preference, especially if it isn't due to a medical issue. If your second cousin has gone paleo, the onus is on him to determine the foods he can eat at your reception. Response cards can be traditional and formal in format, or you can be creative with your response cards. Some stationery designers now offer whimsical designs, or you can create your own funny response cards. Some couples use the response card as a way for guests to suggest songs for the DJ to play. Others invite their guests to share happy memories of the couple, marriage advice and other similar sentiments for a unique memento. What Do Wedding Planners Do? Do You Know How to Address a Wedding Invitation to a Doctor?